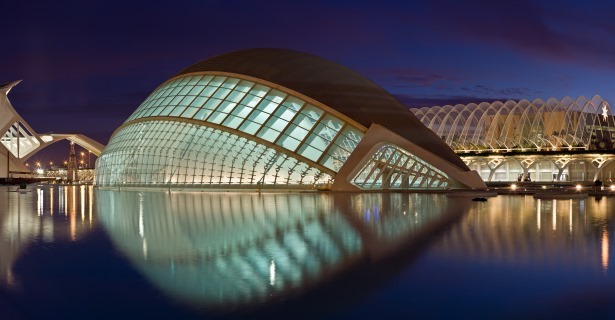 The third largest city in Spain, Valencia is the capital of the province of the same name. Like most of the large cities in the Mediterranean coast, Valencia began as a Roman colony in 138 BC. Its historic centre forms part of a collection of legacy that was worthy of an inclusion in the UNESCO World Heritage Sites. If you are into El Greco, Velazquez and Goya, you will love its Museu de Belles Arts, and if you are fond of digging into rice-based dishes, you will love ‘paella’ which first simmered over a wood fire here. With a coast facing the Mediterranean and sharing with Alicante’s Costa Blanca, Valencia makes it possible to explore the region by RV rentals, campervan hire or Valencia motorhome rental on a camping holiday. Come at the start of the spring to celebrate with Valencians the Fallas Festivity whose origins dated back to that ancient time when carpenters burned all their old and useless wooden tools that served them during winter. This is also the best time to experience the beaches of Valencia’s coast, which is an excellent staging point to head down south to the touristy Costa Blanca by RV rental in Valencia. A trip farther down to Murcia will reward travelers by Valencia campervan hire with D.O. (denomination of origin) wines from Jumilla, and Murcia’s bounty from its surprisingly sparsely rain-fed orchards and agricultural lands. After leaving Jumilla’s wine trail, you can turn inland for the vast region of Castille-La Mancha located at the very center of the Iberian Peninsula. Alternatively, you can head directly west from Valencia and then drive down to Murcia’s Costa Calida. If the name rings a bell, that’s because this is the very same windswept, windmill-dotted battered plateau that inspired the story of the ‘Man from La Mancha.’ You can follow the Don Quijote Route on your campervan rental in Valencia, along with other trails with interesting names like ‘Route of the Black Villages’ and the ‘Route of the Saffron Fields.’ There is the requisite ‘Route of the Castles’ you can follow on your Valencia motorhome rental if you are more into history and architecture. Art aficionados may want to check Toledo, the former capital of Spain and the hometown of El Greco. An alternative route on your campervan hire or RV rentals is to drive up the coast to Barcelona, Spain’s second largest city and the capital of Catalonia. It is only a little more than three hours away with exciting stops on the rocky coasts of Castellon’s Costa Azahar and Tarragona‘s Costa Dorada. Both are well outside the tourist radar so you can find a great camping spot for your Valencia motorhome rental, and stop wherever the view is best and enjoy it all to yourself.